This satin steel and acid glass flush mounted light is great for the modern or traditional living area. Simple in design yet ideal for the room where you require a light that is unobtrusive, yet stylish. Ideal for low ceilings or where space height is an issue. 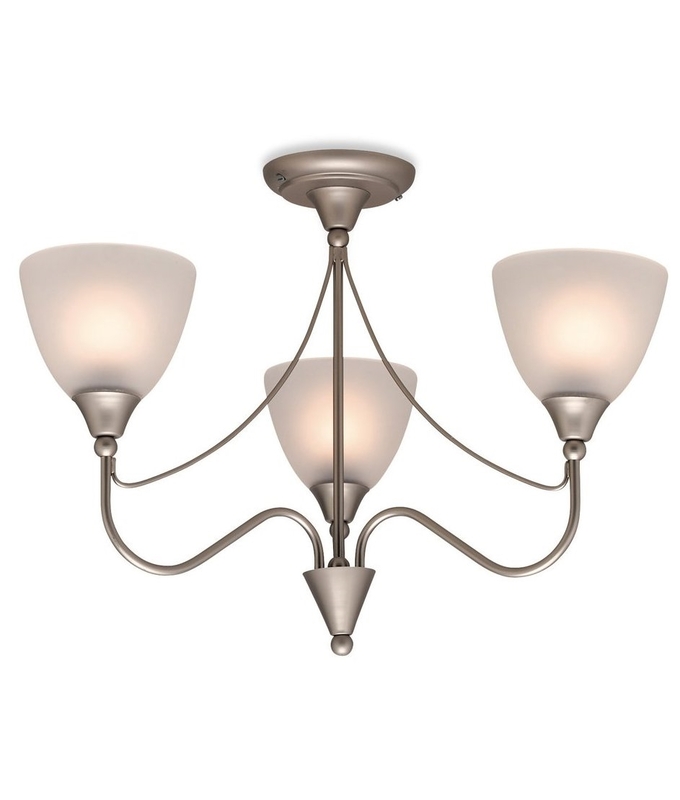 Also available in a 5 light chandelier which has a chain link suspension. Designed for E14 base mains lamps up to 60 watts.